Just a little update on all things Maude. Look for a new contest next week! (Yes, it comes with an awesome prize, of course). We should be posting the photos from our shoot with the fabulous Keely Yount next week as well. We are already brainstorming for our next photo shoot. Any ideas? Finally, we will continue to shamelessly plug our website. Because we have worked hard on it! Plus it’s easy to navigate, has FREE shipping on orders over $100, plus, it tends to be cheaper than big-name sites carrying the same thing! So, all that to say, check it out! 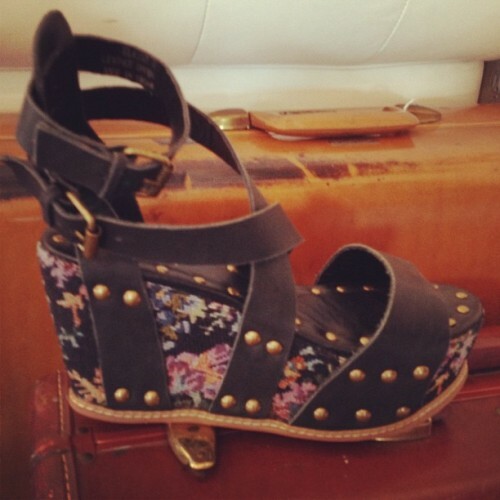 Plus, you can buy those fabulous wedges posted above on our site. Aren’t they pretty?